Stories by Kurt Fawver, Ben Loory, Brenna Gomez, Kathleen Kayembe, Daniel Carpenter, Michael Mirolla, Ian Muneshwar, Claire Dean, Kristi DeMeester, David Peak, Helen Marshall, Joshua King, Jenni Fagan, Alison Littlewood, Chavisa Woods, Carmen Maria Machado, Eric Schaller, Rebecca Kuder, Adam-Troy Castro, K.L. Pereira, Camilla Grudova, Brian Evenson, Nadia Bulkin, Paul Tremblay. Stories by Priya Sharma, Stephen Volk, Robert Shearman, Gemma Files, Kit Power, Tim Lebbon, Benjamin Percy, Laura Mauro, Ray Cluley, Tim Lucas, Brian Hodge, Catriona Ward, V.H. Leslie, Rio Youers, Brian Evenson, Steve Rasnic Tem, Aliya Whiteley, John Langan, Paul Tremblay, Alison Moore, Bracken Macleod. Stories by Sandra Kasturi, Nicholas Royle, Seanan McGuire, Paul Tremblay, Joyce Carol Oates, Richard Bowes, Alison Littlewood, Jeffrey Ford, Mike O’Driscoll, Usman T. Malik, Stephen Graham Jones, A.C. Wise, M. John Harrison, Pat Cadigan, Livia Llewellyn, Priya Sharma. When I start real-time reviewing these stories (hopefully before Christmas), my comments will appear in the thought stream below…. 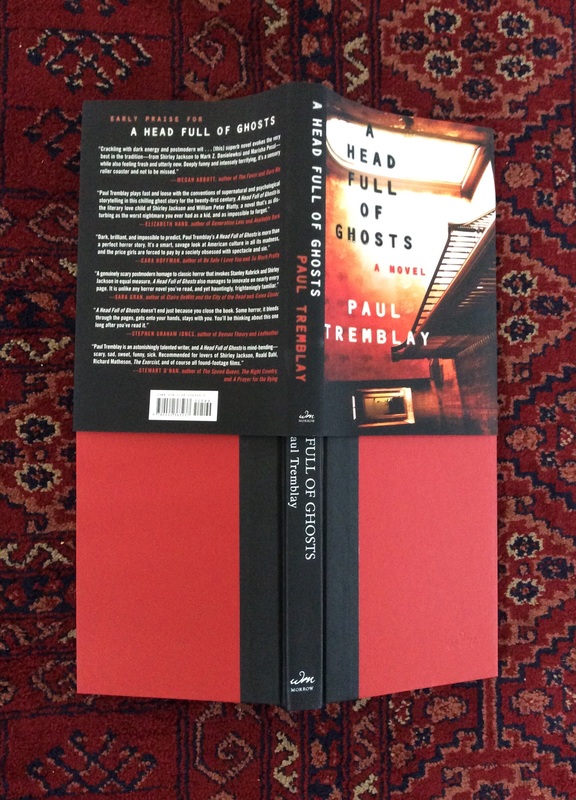 My previous review of works by Paul Tremblay HERE. I intend gradually to real-time review this novel and, when I do, my comments will be found in the thought stream below or by clicking on this post’s title above. 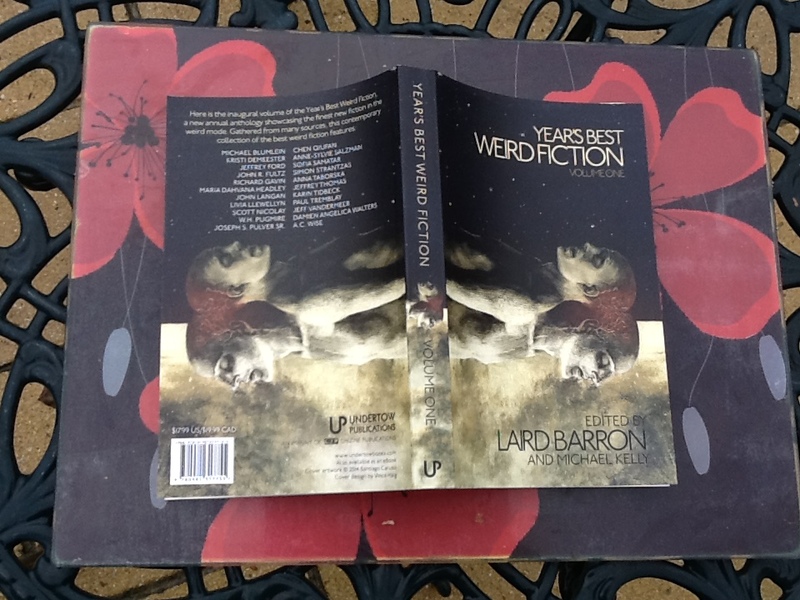 I have just received YEAR’S BEST WEIRD FICTION Volume One as purchased from Amazon UK. 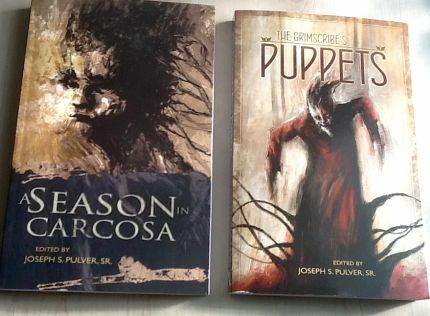 Stories by: Simon Strantzas, Paul Tremblay, A.C. Wise, Chen Qiufan, Sofia Samatar, Livia Llewellyn, Damien Angelica Walters, John Langan, W.H. Pugmire, Maria Dahvana Headley, Anna Taborska, Joseph S. Pulver Sr., Jeffrey Thomas, Richard Gavin, Scott Nicolay, Anne Sylvie Salzman, Kristi DeMeester, Jeffrey Ford, Michael Blumlein, Karin Tidbeck, John R. Fultz, Jeff VanderMeer. MY EVENTUAL REAL-TIME REVIEW OF THIS BOOK WILL TAKE PLACE IN THE COMMENT STREAM BELOW AS AND WHEN I READ IT.